Getcher “Bernie is my Comrade” shirts before they’re outlawed! Claire Hawkins, a lawyer with Garvey, Schubert, Barer — which said it is “the official organization” of the [Sanders] campaign — sent the letter to Daniel McCall, demanding his company, Liberty Maniacs, stop selling the items. 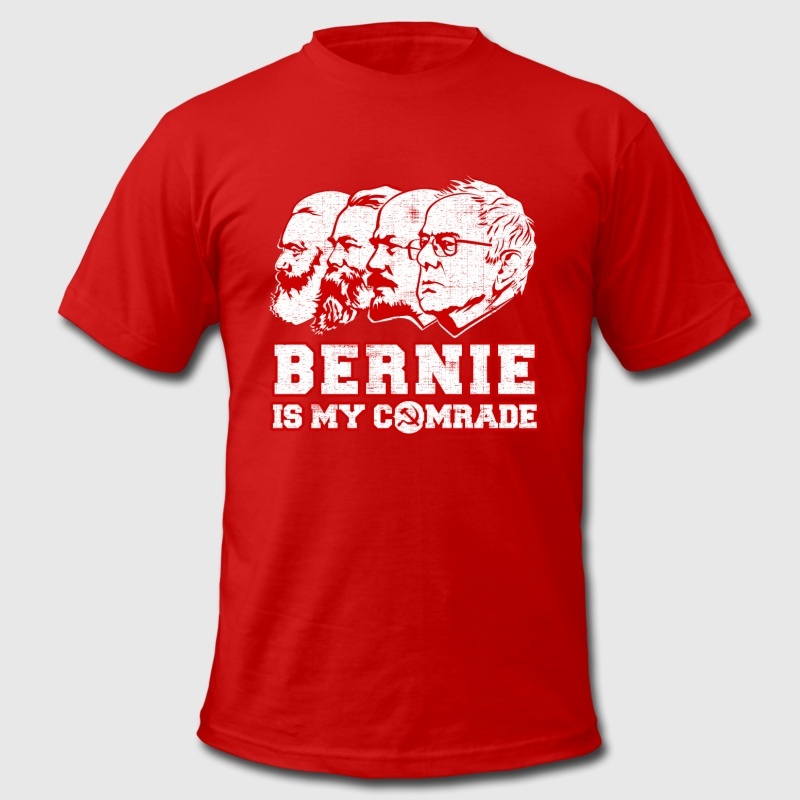 3 Responses to Getcher “Bernie is my Comrade” shirts before they’re outlawed! I really don’t think their lawyer has a leg to stand on. That demand is pure threat, no beef. I dunno, man. He’s a lefty, so any speech he doesn’t like is incitement of violence; virtually violence in itself. Thus illegal. Streisand effect. Dumb move by a guy who thinks he’s smart enough to be president.